The M.A. in Film Studies, a two-year program, prepares students for further study at the doctoral level and/or careers in film criticism, art administration, or archive and preservation work. Besides classroom teaching opportunities, the School of Film encourages M.A. candidates to become actively involved in their field by making public, scholarly presentations and contributing to professional publications. Sophia Alioto was born and raised in Columbia, Missouri. After graduating from high school, she attended Columbia College in Missouri where she earned her Bachelor of Arts Degree in English Literature in 2014. Her research interests include the representation of science and technology in Post-WWII film with emphasis on Postmodern Film Theory, Posthumanism and Cybernetics. Stephanie MacDonell is from Fresno, California. In 2012, she earned her BA from California State University, Sacramento in Film Studies with a minor in English – Creative Writing. After graduation and some extensive traveling, she worked on various productions, freelancing for SMOSH, Indivizible and local independent films. Her research interests include the representation of identity and culture within postmodern film with an emphasis on Feminist Film Theory, Queer Theory, and Mythology; and how these representations influence and challenge societal norms and taboos. Nien-Chen Lin is from Taiwan. She received her Master’s Degree in Foreign Languages and Literatures from National Chiao Tung University in 2014. Her thesis reexamines the heteronormative and shojo images in contemporary shojo manga (girl’s comic books). While at NCTU, she was also a freelance translator and worked for a subtitling company for two years. There she found her love for audiovisual translation, especially for film and television drama series. She is also interested in exploring the noir elements in contemporary Hong Kong and Korean films. Jordan Parrish was born and raised in Cleveland, Ohio. After graduating high school, Jordan enrolled at the University of Toledo where he graduated with a Bachelor of Arts Degree in Film. 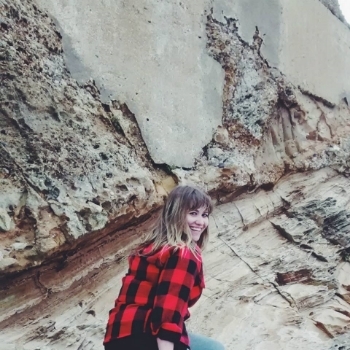 Currently a first-year MA student at Ohio University’s School of Film, Jordan’s research interests lie in psychoanalytic theory, the interpretation of desire and the cinematic setting as a vehicle for radical healing and change.